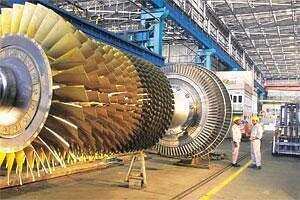 New Delhi: Cash flow at state-owned Bharat Heavy Electricals Ltd (Bhel) is slowing because private power project developers are delaying payments for dispatched material, which could potentially impact profits at India’s largest power generation equipment manufacturer. “Our outstandings from the power sector and industry are going up," a company executive said on condition of anonymity. “Some private sector developers are not paying on time." The payments that are due (from various debtors) rose 38.29% to ₹ 30,569.29 crore at the end of the September quarter from ₹ 22,103.93 crore in the year earlier. “Since Bhel is a net cash company, it should be able to withstand these pressures provided they are temporary in nature," said a Mumbai-based power sector analyst. “This trend is something critical to watch out for." Although Bhel shows reasonable margins and profitability, slowing cash flow could mean that the quality of its core business is suffering due to various issues that power generation companies are struggling with, added the analyst, who declined to be named citing commercial considerations. A Bhel spokesperson did not respond to a specific question about the company’s cash flow position in the current and last quarter vis-a-vis the same period in the previous fiscal year. “Bhel’s cash flow gets affected due to delay in award of projects, delay in execution of orders on account of fund constraints with utilities, delay on account of logistic constraints in the country for ODCs (over dimension consignment) and non-availability of land or other clearances," the spokesperson said by email. The firm’s billing practice requires around 20% of the amount to be paid in advance at the time of the order. The remaining payments are generally made by customers linked to despatches (around 35%), on receipt of material at sites (around 35%) and milestone completion (around 10%). The completion period for power project orders ranges from two and a half years to four years. The payments linked with despatches are made to Bhel after a material despatch receipt (MDR) is issued and the ones linked to receipt are made after the issue of a material receipt certificate (MRC). “We are facing delays in getting the MRC payments," said the Bhel executive quoted earlier. “This deterioration in the working capital cycle may have happened because of the change in quality of the order book," said the analyst quoted above. “Due to a shift from largely government orders to a fair contribution from private sector orders, the advance terms and payment conditions Bhel is working under has become more strict, in our view." “We also believe that since the power sector in India is also struggling due to fuel availability issues, losses of distribution companies and delays in clearances and approvals, project execution has slowed down," the analyst added. “This may have also contributed to increase in debtors and inventory." Amol Kotwal, deputy director of energy and power systems practice for South Asia and West Asia at Frost and Sullivan, said “Increasing accounts receivables impact the cash flow statement, since although sale has been booked, cash has not been received. This phenomenon impacts working capital and may lead to increased borrowings to manage day-to-day operations,"
Bhel has orders worth ₹ 1,61,000 crore and posted a net profit of ₹ 6,011 crore on revenue of ₹ 43,337 crore in the fiscal ended 31 March. “Sometimes the developers take a unilateral decision to pay only on the receipt of the material even after they have been despatched from our end," said another Bhel official, who also wanted to remain unnamed. “This, combined with the delays in equipment reaching the site due to logistics issues, results in payments getting delayed by two-three months." India could miss 13,855 megawatts of its 11th Five-Year plan (2007-12) target because of poor transport infrastructure, Mint reported on 27 May, 2008. “This combined with the low volume of orders resulting in low advances is naturally affecting our cash flow," the second executive said. “This is a temporary phase." The state-run firm, which has been planning a follow-on public offer of shares, didn’t receive any orders from power firms in the first quarter against orders worth ₹ 9,226 crore in the year earlier. It ended the second quarter with only two orders valued at around ₹ 8,000 crore compared with ₹ 11,024 crore a year ago. Bhel received orders worth around ₹ 46,393 crore from power companies in the last fiscal. “Generally we don’t get more than around 10% advance and delays in subsequent payments make planned cash flow suffer," said a third Bhel executive, who declined to be identified. “These problems are more to do with the private sector developers, which combined with the issue of logistics, is affecting us."